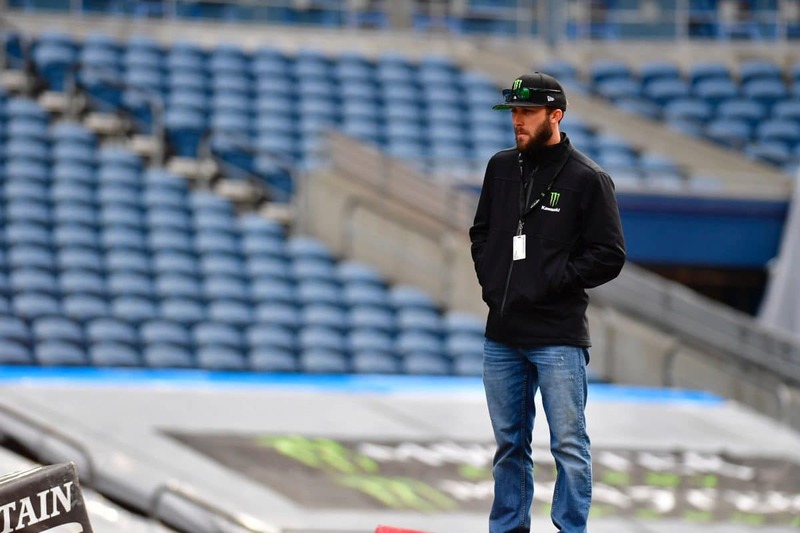 Last week’s Seattle Supercross was one of those rare events when most spectators weren’t sure who won when they left the stadium–or when the NBC Sports broadcast ended. If those in the stadium didn’t notice Marvin Musquin jumping under a red-cross flag on lap two, they probably had no idea how much controversy was transpiring in the pits immediately after the race. Ralph Sheheen and Ricky Carmichael didn’t have time to dive into the AMA rule book before the live broadcast ended, so most of America had to wait to find out who won. As usual, it fell on the shoulders of referee John Gallagher to make the call. He followed the rule book to the letter, awarding the win to Musquin but docking him 7 points. This year, more than ever, that might be a very critical penalty. 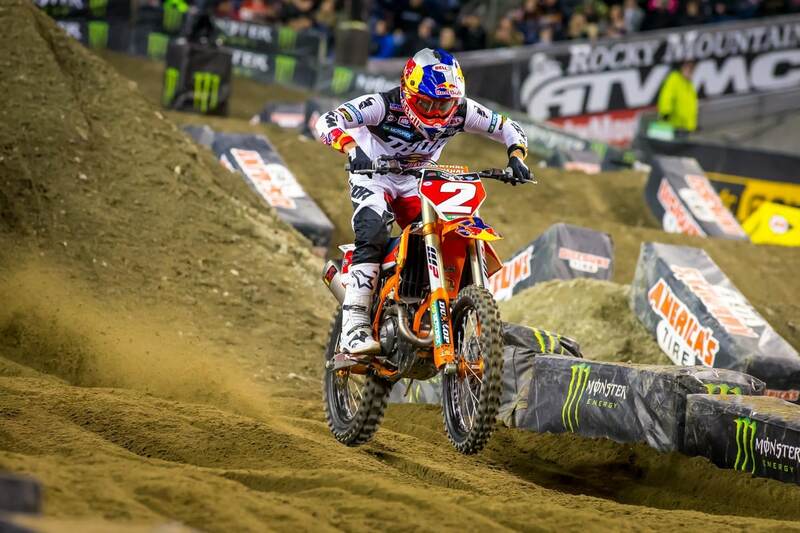 The Supercross show arrives in Houston this week with a very hot points battle in progress. Two things are out of the ordinary about Houston. One, it’s a Triple Crown format, meaning the riders will race in three main events per class, with the lowest score taking the overall. Two, Houston will host the 250 West riders despite being less than 30 miles from the actual east coastline of the United States. It’s always been that way. The Triple Crown format rewards riders who are consistent. Points are awarded to the overall finishers, not to individual race winners. That plays into Cooper Webb’s hands in a big way. At this point in the season, he doesn’t want to take chances, and with the Triple Crown format, he won’t have to. He can take third in every race and perhaps still win. “It was an up-and-down result today,” he said after Seattle. 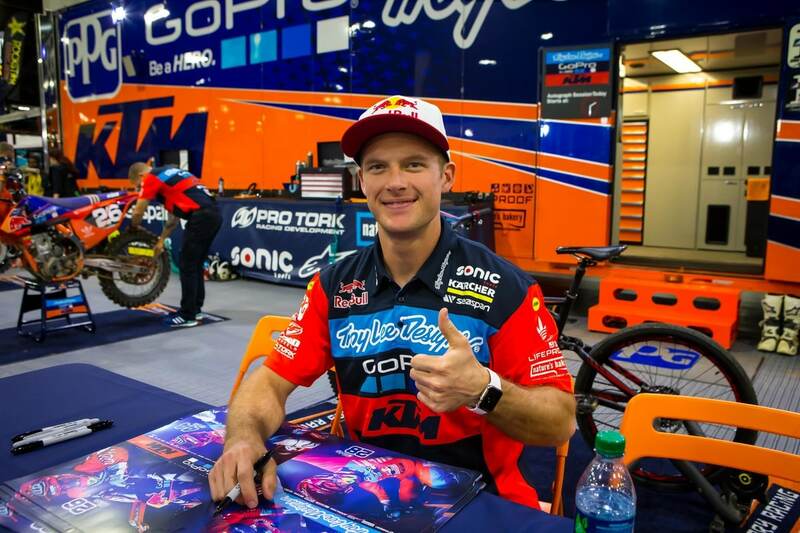 “It was a good charge back in the Main Event but I definitely wanted to be on the podium, so we’ll work hard this week and try to be back up there in Houston.” Clearly, though, Webb is playing defense. His last four finishes have been 1, 2, 3, 4. Musquin, on the other hand, is fired up and riding to win. 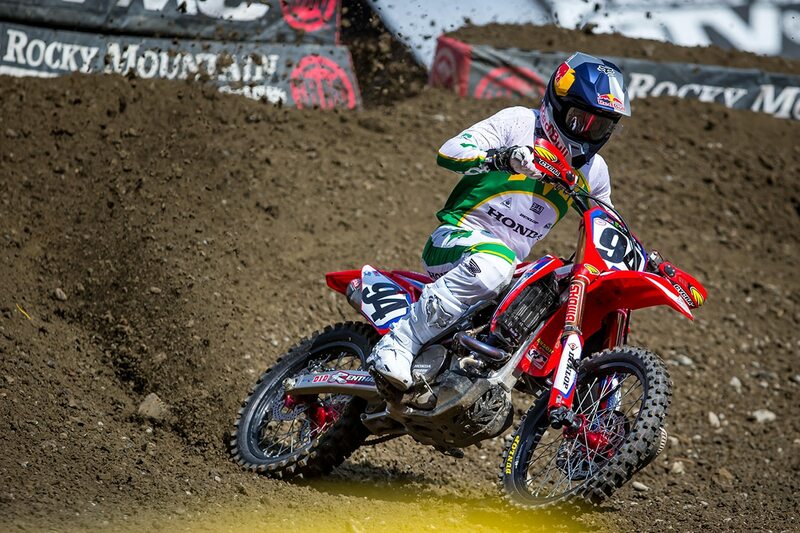 Ken Roczen has been very up front about the fact that he’s been getting unusually fatigued while riding. The mystery condition was less severe, he says, at Seattle than it was in the previous two races, where he was eighth in both. “Today was a lot better for me. I’m still not 100% with whatever is going on with my body, but the feeling that I had on the bike was good all day. It was the same for the races—I just tried to go out there and have fun, and I rode really well. I had a good heat race with the win and then got a good start in the main. The track was super technical, especially with the whoops, which were very tough. I had a good battle with Marvin [Musquin] for a second. He jumped on the red-cross flag, which opened up the gap for a bit, but overall, going from where we were the last two weekends and not feeling great to racing like we did today and feeling a lot better, it was a huge step in the right direction. I think we’re all pretty happy with how it ended up this weekend; it’s a big monkey off our back!” The biggest danger to Honda riders, it seems, is other Honda riders. Ken Roczen and Cole Seely took each other out in the first turn at Daytona, and at Seattle, it was Geico Honda 250 riders RJ Hampshire and Cameron McAdoo performing the same maneuver. Most of the veteran riders were pleased with the long, technical whoop section at Seattle. Many have been vocal saying that the tracks are getting too easy. Seattle wasn’t easy. 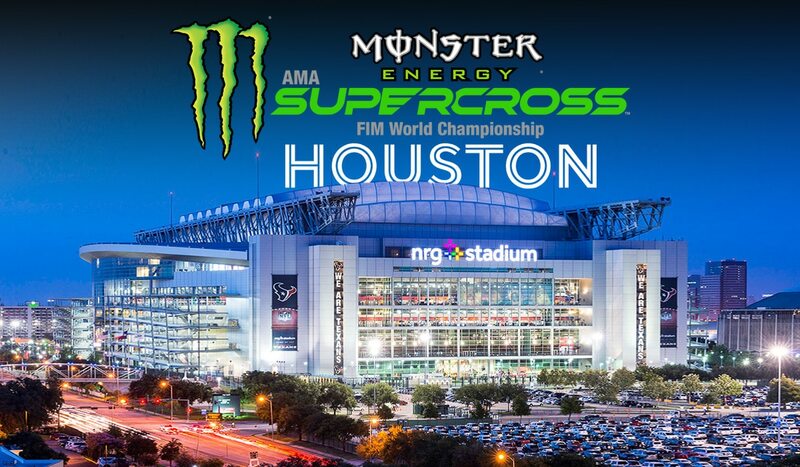 There’s no official response from Feld or Supercross management, but some preliminary reports are that the Houston track will be tricky. It includes the over-under bridge and a short sand section with a steep wall at the entrance. This always makes for different approaches. There are two whoops sections with several tricky rhythm sections. The 250 class has its own drama brewing. Unlike the East division, where it’s been a one-man show, the western riders have some drama from week to week. 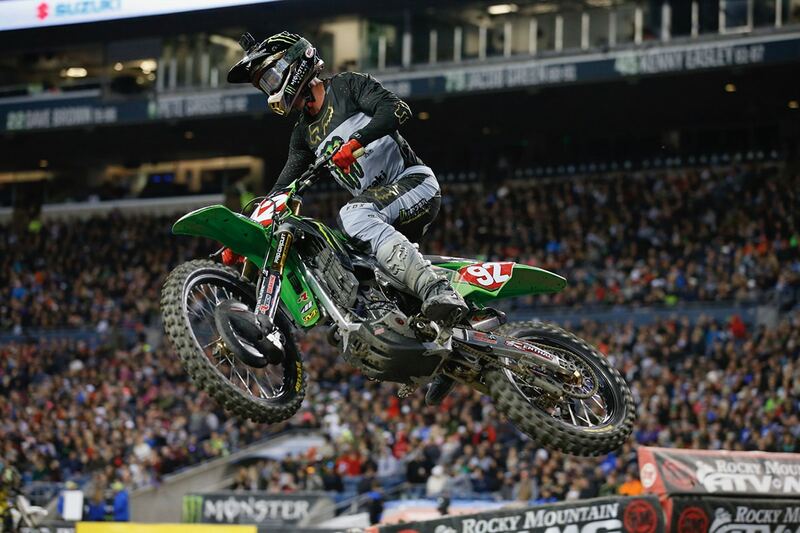 Adam Cianciarulo has the red plate, but Dylan Ferrandis is usually handicapped by poor starts. Now that he has his first taste of winning, it’s game on between those two.